The development of the artificial pancreas represents an important step forward in modern diabetology. 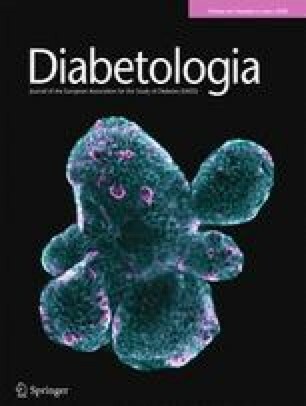 The practical and theoretical findings obtained by its application to Type 1 (insulin-dependent) diabetic patients has given new insights into modes of insulin secretion, pathophysiology of diabetes mellitus, and new forms of treatment, i. e. the development of portable insulin pumps and intensified conventional insulin therapy. All of these therapies provided better results than conventional insulin administration. However, there is no doubt that the restoration of normoglycaemia in a real sense is obtainable only by an implantable artificial pancreas or pancreas transplantation. The development of the implantable artificial pancreas, on the other hand, is dependent upon the development of a reliably working permanently implantable glucose sensor. The first attempts in that direction have opened new vistas as to the differences between blood and interstitial tissue glucose measurements, displaying different modes of regulation under normal and pathologic conditions. A number of barriers have to be overcome until the final goal has been attained: to obtain, by automated blood glucose control, narrow glycaemic fluctuations of the normal subject, and to prevent, hopefully, relentless diabetic complications. This article represents a reproduction of the Claude Bernard Lecture 1985 of the European Association for the Study of Diabetes, [published in: Serrano-Rios M, Lefèbvre PJ (eds) (1986) Diabetes 1985. Excerpta Medica International Congress Series No. 700. Excerpta Medica, Amsterdam New York Oxford, pp 56–83 -with kind permission of the publisher and the editors]. The manuscript has not been subjected to the Diabetologia editorial process.